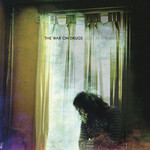 Lost In The Dream is the third album by Philadelphia band The War on Drugs, but in many ways, it feels like the first. Around the release of the 2011 breakthrough Slave Ambient, Adam Granduciel spent the bulk of two years on the road, touring through progressively larger rock clubs, festival stages and late-night television slots. That essence drives Lost In The Dream, a 10-song set produced by Granduciel and longtime engineer Jeff Zeigler. In the past, Granduciel built the core of songs largely by himself. But these tunes were played and recorded by the group that had solidified so much on the road. "I wanted there to be a singular voice, but I wanted it to be a project of great friends. Everyone in the band cares about it so much," he says. "That is the crux of it--growing up, dealing with life, having close friends, helping each other get by. That is what the record's all about."